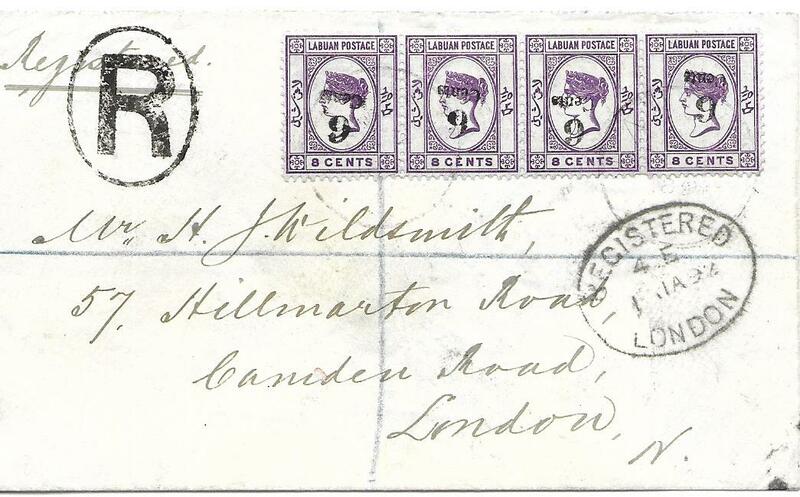 1891 registered cover to London franked horizontal strip of four 6c on 8c with inverted handstamp tied by two faint cds, Registered London date stamps front and back; good condition. 1896 '4 CENTS' on 8c. 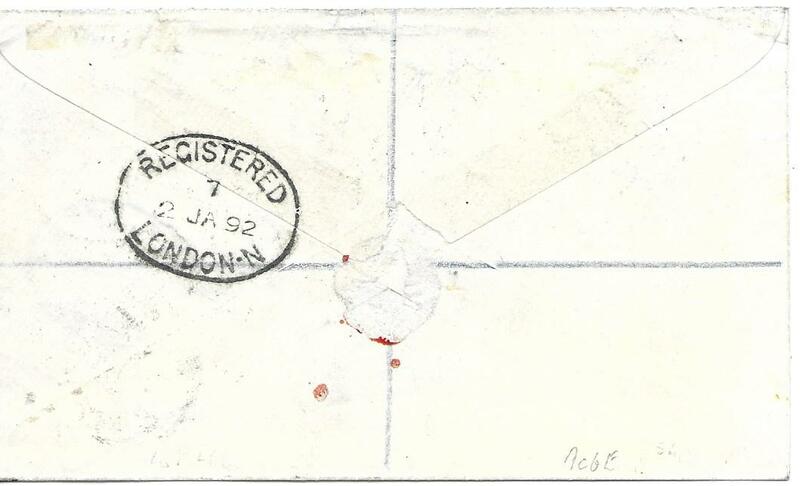 postal stationery card very fresh unused on front, slight blue ink staining on reverse. 1898 '4 CENTS' on 8c. 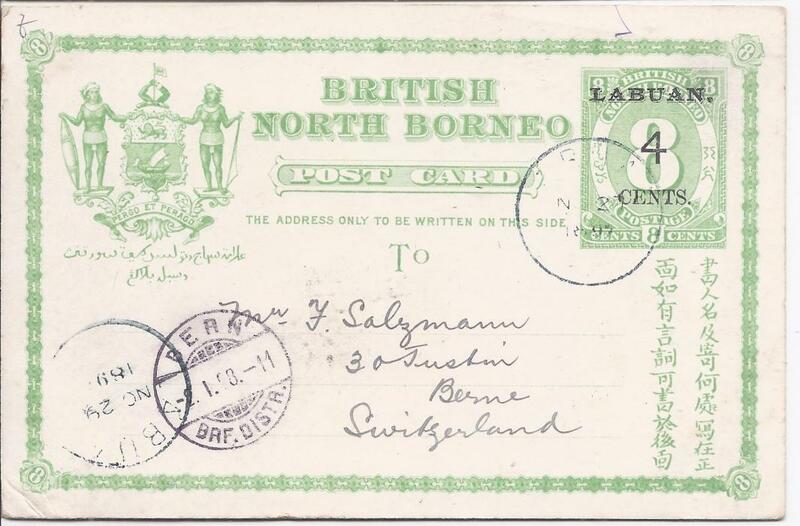 postal stationery card used to Switzerland with despatch and arrival cds on front. Fine and clean philatelic card without message.